Lucid dreaming is awareness that you are dreaming. This awareness can range from very faint recognition of the fact to something as momentous as a broadening of awareness beyond what has ever been experienced even in waking life. Lucid dreams usually occur while a person is in the middle of a regular dream and suddenly realizes that they are dreaming. This is called a dream-initiated lucid dream. A wake-initiated lucid dream occurs when you go from a normal waking state directly into a dream state, with no apparent lapse in consciousness. Once you realize this, you have the ability to control your dreams, which is pretty much the most essential part of lucid dreaming. Watch: How to Lucid Dream Easily! 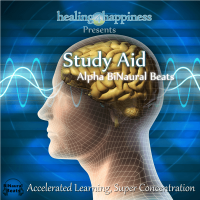 BiNaural Beats – Theta BiNaural Beats for Easy Lucid Dream Induction! For an enhanced experience with How to Lucid Dream, listen while you speak. 1. During the day, repeatedly ask “Am I dreaming?” and perform some reality checks whenever you remember. With practice, if it happens enough, you will automatically remember it during your dreams and do it. 2. Keep a dream journal. This is perhaps the most important step towards lucid dreaming. Keep it close by your bed at night, and write in it immediately after waking. Or you can keep a recording device if you find it easier to repeat your dream out loud. This helps you recognize your common dream elements (people from your past, specific places, etc. ), and also tells your brain that you are serious about remembering your dreams! It will also help you to recognize things that are unique to your dreams. You will be able to recognize your own “dream signs.” These will be recurring things or events that you may notice in your dreams. 3.Learn the best time to have a lucid dream. By being aware of your personalsleep schedule, you can arrange your sleep pattern to help induce lucid dreams. 4. Try Stephen Laberge’s mnemonic induction of lucid dreaming (MILD) technique. 5.Attempt the WBTB (Wake Back To Bed) Technique. This is the most successful technique. 6. Try attempting the WILD (wake initiated lucid dream) technique. Basically what it means is that when you fall asleep you carry your awareness from when you were awake directly into REM sleep and you start out as a lucid dream. An easy way to get your body to the brink of sleep is by lying in your bed and focusing your awareness onto the back of your head where it touches the pillow. Wait until your inner-voice shuts off then you can imagine sinking into your pillow until your body is just about asleep. Now shift your awareness out of your body while trying to hold onto your awareness as tightly as possible. This will mean your body falls asleep and you will pass lucidly into the dream world. Listening to Theta binaural beats for an amount of time will easily put you into a REM sleep. 7.Another technique for overall “dream awareness” is the Diamond Method of meditation, which can shortcut the overall learning curve, of Lucid Dreaming. When you meditate, try to visualize your life, both awake and dream-life as facets on a diamond. Some choose to call this “diamond” the Universe, others God, and even “your Spirit.” The point here is to begin to recognize that life is happening all at once. It is only our “Perception” that arranges our dramas into linear or “timed” order. So just as a diamond is, each facet if viewed as an individual experience, still is going on at the same time the “Dream Body” experiences as well. This method is also known by Remote Viewers. Remember it is just a slight shift in awareness that this exercise calls for. 8. Try marking an “A” (which stands for “awake”) on your palm. Every time you notice the “A” during your waking hours challenge whether you are awake or asleep. Eventually you may see the “A” in your sleep and become lucid. 10.Prolong lucid dreams by spinning your body or falling backwards in the dream (suspected of prolonging REM), and rubbing your hands (prevents you from feeling the sensation of lying in bed). Take care while spinning. Remind yourself even as you spin or fall that you are dreaming, as you will find yourself in a completely different location when you stop spinning or hit the ground and may lose lucidity otherwise. If you feel a dream ‘shakes’ or is about to fade out, look down to the ground and visualize your surroundings, reminding yourself you are dreaming. 11. Look through previous dreams in your Dream Journal. If you start to notice patterns in your dreams, you will notice dream-signs, or certain things that continue to reappear in your dreams. This may be as basic as all dreams are in your backyard, or all your dreams have fans in them. Get into the habit of doing dream checks every time you see your dream sign, and eventually you’ll see your dream sign IN a dream, do a check and realize you’re dreaming. 2.Continue to repeat this phrase, “I will dream about”, “your own dream” as you look at your hands. 3.After the thirty minutes, or whenever you get tired turn off the light and go to sleep. 4.When you wake during the night, Look at your hand, and say the same phrase. If you did not see your hands, remind yourself of your intent to see your hands in the next dream. 5.With consistent practice of this phrase each night before sleep, you will suddenly see your hands pop up in front of you when dreaming, and consciously realize, “My hands!” Oh my gosh! This is a dream. It is fun to fly in lucid dreams. To start flying try bouncing higher and higher after each step (while “walking” in the dream.) Some find that they need to train themselves, while others can just think that they want to fly, and therefore lift off the ground, and start to hover. You can also try walking on walls or the ceiling, as flying for the first time can be intimidating if you are not totally convinced that you are dreaming. Many people experience flying as being very natural and very exhilarating. Performing reality checks upon awakening can help you to detect “false awakenings” within dreams, wherein you dream that you have woken up, and thus lose lucidity. Though frightening, sleep paralysis is completely harmless, and will wear off once your body realizes that it’s no longer asleep. You can try visualizing something in your hand, or in your pocket. Trying to feel its weight, shape, and texture may help. In case of a nightmare, or other frightening dream, if practiced, this can become a self-defense system against any of those perils. Of course, they will not really harm you, but it IS fun to blast a horribly disfigured monster at point-blank with a rocket-launcher of some sort. If you cannot remember the dream, focus on the feelings that you felt. Trying too hard to remember the dream will only take your mind away from it. Chances are your mind will think of everything but the dream. If you find the dream is not going how you want it to, “close your eyes” for a bit and then open very forcefully. It might not work the first time but you will eventually end up actually opening them. When recalling a dream upon waking, try not to move. Activating your muscle neurons can make it more difficult to access the parts of your brain that allow you to recall your dream. When you are aware you are dreaming, make sure you know it is a dream at all times. Remember, there are no social consequences, everything, even the characters are just part of your imagination, you cannot get hurt, you need make to keep your dream stable, and you have total control of everything, including your actions, other characters actions, the environment, even physics with a few thoughts. Remember that and you will have total control over dreams at all times. Another good reality check can be constantly having something in your pocket. If you look at your pocket and something’s not in there, you will realize you are dreaming. There can be special cues to lucid dreams to find. For example, you may find colors or walls shifting and changing in unnatural ways, try to pick up these changes and you may realize you are lucid dreaming. While sleeping if your body starts to tingle then your muscles are beginning to relax and you on your way to dreaming, this is the time to tell yourself I am about to dream. Remember that it’s a dream and some things that happen in it may never happen again. So even if it is just your dream, if you found a good friend or someone you love just tell them what you think because you may never get that chance again. Pre-determine what you want to achieve in a lucid dream while you are awake. When you become lucid in a dream, you will already know what you want to do. To end sleep paralysis (which is not dangerous) try wiggling your toes or swallowing. When you are in sleep paralysis, your brain is sending a signal to the rest of your body to immobilize your muscles so you don’t thrash around while you sleep. The larger muscles are usually more affected than the smaller ones. So trying to wiggle your toes tends to wake you up during a state of sleep paralysis. To help control specific things in your dream practice those things while you’re awake. For example to help yourself become a lucid dreamer try turning on and off a light switch slowly multiple times throughout the day then try doing the same action (turning on or off the lights) in your dream. What a dreamer does with lucidity reflects personal tendencies and levels of skill attained usually through experience and practice. Although a lucid dreamer can influence the dream’s structure, characters, course, etc., it is not a given that a lucid dream is about what the dreamer wants it to be about. Seasoned lucid dreamers who are more often lucid than not will continue to encounter psychological and developmental challenges in the dream scape. The agreeable and the distressing, the easy and difficult, beautiful and horrifying, are all occasioned much as they are in regular dreaming. But whereas a regular dream is filled with the convoluted subtleties of the subconscious mind enumerating its issues before a largely unconscious dreamer, a lucid dreamer has the opportunity to consciously explore at any level. 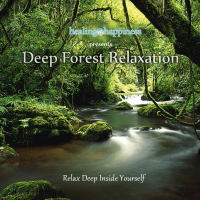 Listen to Binaural Beats. Binaural Beats are often used to induce lucid dreams, and many assure this method dramatically improves success rate. Theoretically, listening to Binaural Beats lowers brain frequencies, triggering different effects such as relaxation and dream induction. Look for Theta bin-aural beats, as they use the same brainwave frequency used in dreams. 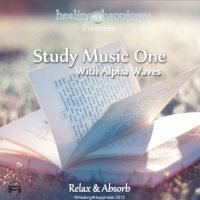 You may also want to listen to Alpha and Delta binaural beats as they help you relax and fall into non-REM sleep. You can also try shape-shifting. It is hard to do it on command, but you can also make an ‘excuse’ to transform by making a transformation machine or a magic assistant that can change you into an animal. It is a good idea to purposely wake a few minutes after becoming lucid, once you have experienced what you wanted to experience. This way, you can wake up with the dream very fresh in your mind, and have excellent recall. If you do not wake up, the dream may simply fade away into the night, and could be forgotten. Creativity and imagination are key for having more dreams and dreaming about the things you want to. If you notice something happening that is impossible in real life, such as being able to breathe underwater, this can act as a reality check to alert you to the fact that you are dreaming. It is also cool to teleport. Close your eyes, spin your dream body, and envision a brand new landscape and open your eyes. Keep a dream journal next to your bed to record your dreams. If you have trouble remembering your dreams, then whenever you wake up, lie back on your pillow, close your eyes, and try to remember backwards what happened in the dream. Some medications can affect dreams and their frequency as a side effect. Keeping a dream journal is important; it not only helps you spot abnormalities, but it also helps dream recollection, thus a more enjoyable and memorable experience. Get your own reality check and use it a couple times a day. You could use a coin that you spin on the table. If the coin stops spinning, you know that everything around you is reality. If you make this your daily routine and do this a couple times a day, you’ll have a good chance that you will do this in your dream. You’ll notice that the coin won’t stop, and gain full control because you know you’re dreaming. Write down what you remember when you remember it. Most people remember dreams from nights before. If you write down whatever you remember, your brain will get used to remembering instances from your dreams. Lucid dreaming may be helpful for people who frequently experience nightmares, as it gives them a chance to take control of their dreams.